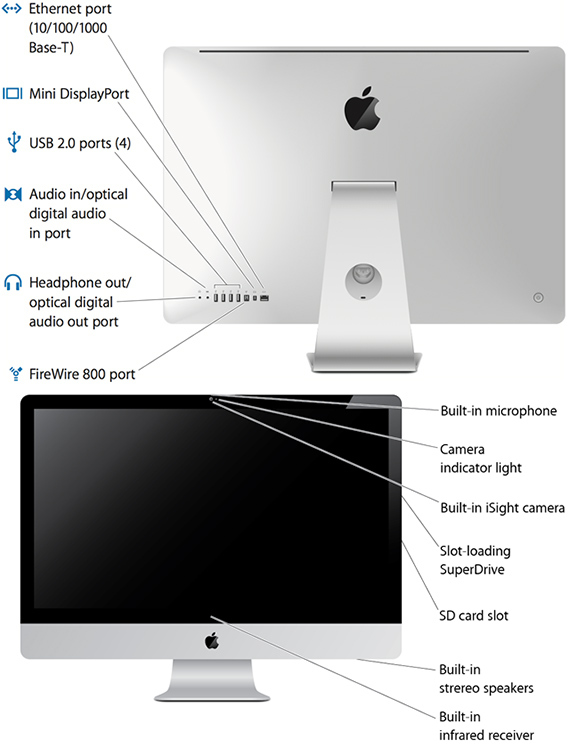 Setting new standards for elegance and simplicity, the all-in-one iMac packs all its components - from processor to video camera - into an astoundingly thin, anodized aluminum frame. The advanced processor that powers iMac is faster than ever - delivering greater performance for everything from enhancing photos to playing games and more. Your photos, movies, and games will come to life in rich, vivid color thanks to the glossy widescreen display on iMac. This Apple desktop has a built-in webcam that lets you communicate with your friends and family anywhere in the world. Sleek, slim and compact, the iMac all-in-one is sure to complement your interiors perfectly. If you are prompted to enter password when startup, please enter "user".